The pharmaceutical drug zolpidem - sold under the brand names of Ambien, Ambien CR, and Intermezzo - is a commonly prescribed hypnotic medication used to initiate sleep and to treat insomnia. 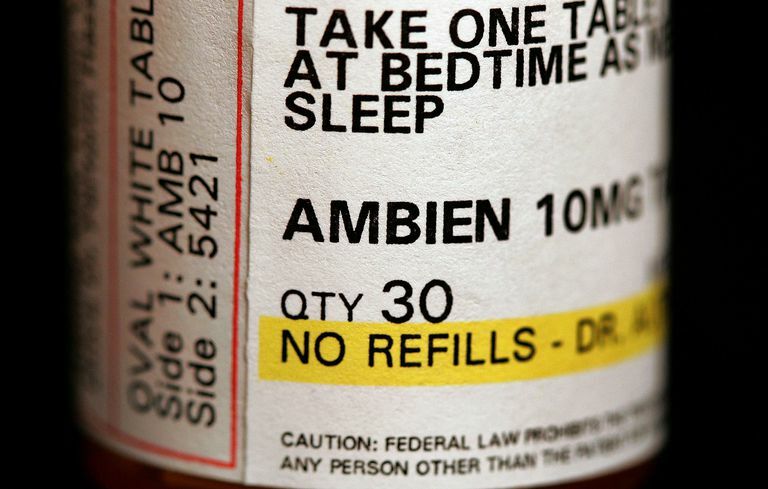 What are the common side effects and dosage of Ambien? Learn about this medicine and important safety precautions and whether it is right for you to relieve difficulty sleeping. Ambien is a hypnotic drug that has direct effects on the central nervous system, specifically the brain. It causes drowsiness and is safe and effective for initiating and maintaining sleep. It is used to treat insomnia or acute insomnia. You may be prescribed a standard or controlled-release (CR) formulation of the drug. There is also a fast-acting form that is taken under the tongue (sublingually). These vary slightly in how long it takes the body to metabolize them, but their effects are the same. Depending on the formulation used, there are different dosages of Ambien. Women, in particular, are advised by the U.S. Food and Drug Administration (FDA) to use lower doses due to the potential risks of morning hangover effects that may impact safe driving. Any decision regarding the proper dose should be discussed with your prescribing physician and consideration of your entire list of medications should occur. Ambien promotes the activity of GABA receptors, a special type of neurotransmitter. Neurotransmitters are chemicals that serve as messengers between nerve cells (neurons). The additional activity of the GABA receptors inhibits neuron activity that contributes to insomnia. Fortunately, the risk of tolerance or dependence with extended use of Ambien is less than with other benzodiazepines. The medication should not be taken with alcohol or with other drugs that suppress the central nervous system or respiratory system, as it may slow or stop your breathing. It may not be the best drug to use if you have a history of alcohol abuse, drug abuse, depression, psychiatric disorders, lung, or liver problems. It should be used with caution in the elderly or debilitated. Ambien should be avoided in pregnancy and with breastfeeding. Certain individuals, as mentioned above, should use the medication with caution or not at all. There is no monitoring necessary with Ambien's use. If you experience any difficulties with the use of Ambien, you should be in close contact with your primary health provider. “Ambien.” Epocrates Rx Pro. Version 16.3, 2016. Epocrates, Inc. San Mateo, California. Cooper, D.H. et al. The Washington Manual of Medical Therapeutics. 32nd edition, 2007. 14. Lippencott, Williams & Wilkins. New York. Katzung, B.G. Basic & Clinical Pharmacology. 9th edition, 2004. 134-140. The McGraw-Hill Companies, Inc. New York.